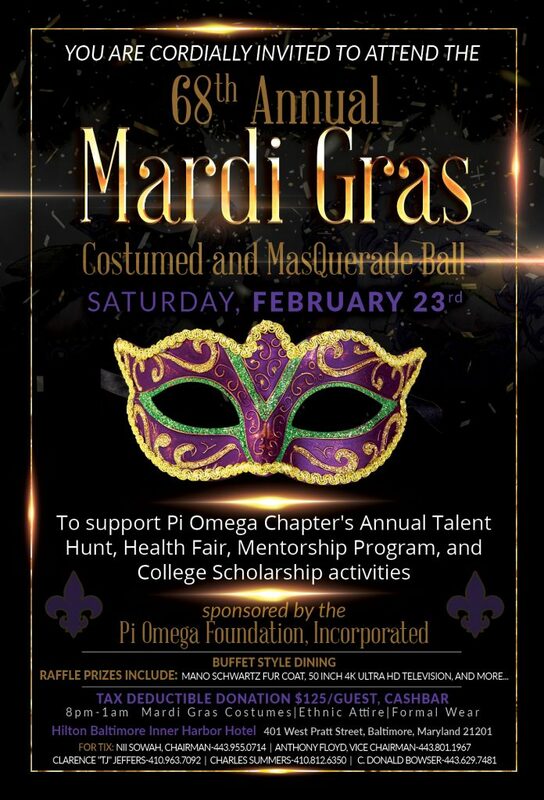 Mardi Gras Celebration – Pi Omega Chapter of Omega Psi Phi Fraternity, Inc.
On Saturday, February 23rd, 2019, the Pi Omega Foundation and the Pi Omega Chapter of the Omega Psi Phi Fraternity, Inc. will host the 68th Mardi Gras Costumed and MasQuerade Ball. Tickets are $125/Guest. Tables are available. Reserve your room for Mardi Gras Weekend *NOW*.